A fresh update is one more alternative of the restaurant menu view modes: new Simple List View, which helps you present the menu items in a plain carefully-crafted list without images including only necessary details. 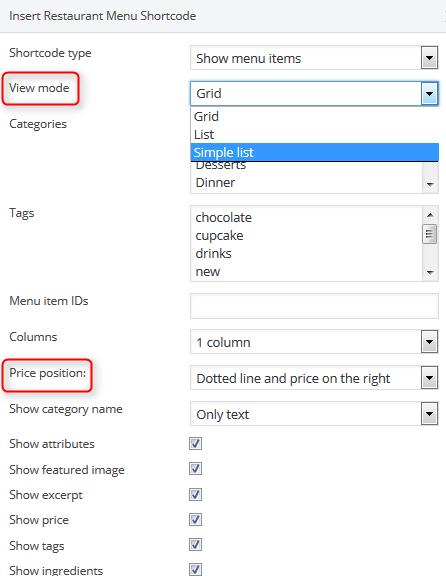 Main List and Grid view modes have the main emphasis on images. We understand that for some restaurant owners it can be hard to deal with taking photos of all menu items, or this solution simply doesn’t fit the site design. This situation changed thanks to a new update. 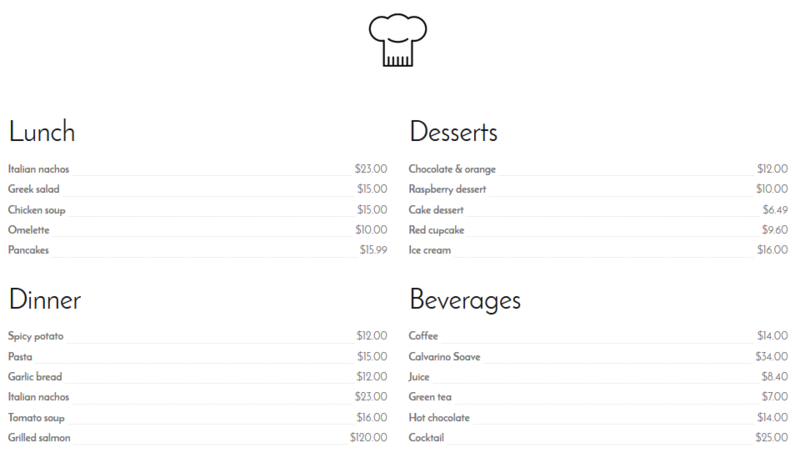 From now on the restaurant and cafe owners can set Simple List View mode of the restaurant menu items and feature a clutter-free list of the menu items with prices and other optional elements. So, how can you set this mode? Very easy. You are free to apply it within the shortcode of the restaurant menu plugin. 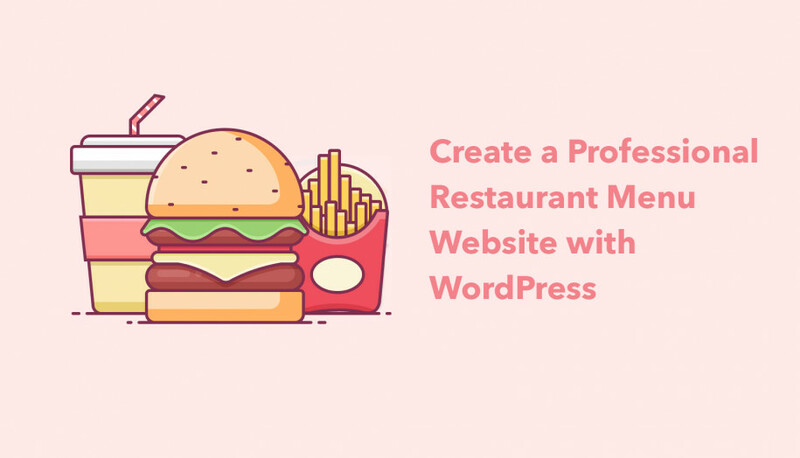 We try hard to make your online restaurant with MotoPress Restaurant Menu plugin more spicy and hope that this update will significantly ease and speed up your customization work! 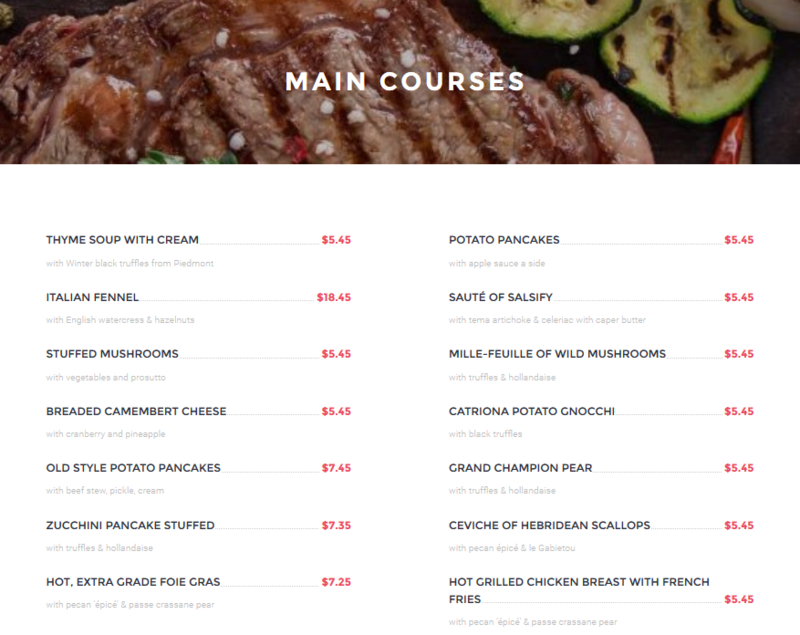 And what menu style is more suitable for your online restaurant? Feel free to share your thoughts in comments. 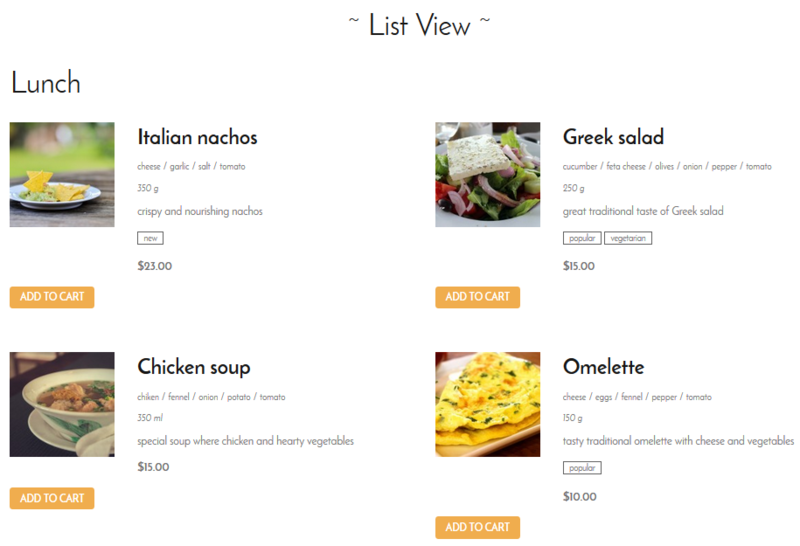 Restaurant menu cart – a free plugin to add a shopping cart into the navigational menu. Delivery addon – a premium plugin to enable delivery and pickup services for the food ordering system in your restaurant. Toppings addon – to build a pizza builder and sell extra food and drinks. You may be also interested in our recently released WordPress booking plugin for the hospitality business. Very nice plugin, but there are bullets before the title, the dottet line and the price. Is there a way to set the li style to none? Most likely you can see the bullets due to your theme styles. You can submit a request to our support team for personal assistance.